I have been reading things about Windows 8 recently that worry me. Media center seems to be going through some crippling updates. It would appear that Microsoft is going to kill off Media Center. 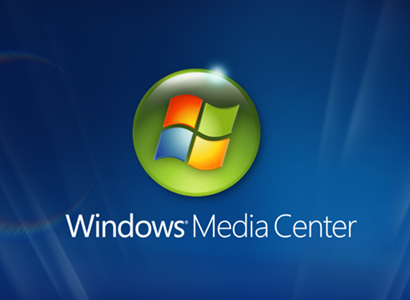 For the last few years now I have been saying that Microsoft’s ultimate goal is to get rid of Media Center. Originally Microsoft sold Media Center on the fact that the internet would give you vast amounts of Free TV & entertainment as well as put all your video , music and pictures into a system that you could use anywhere you had a PC or extender in your home. I think Media Center was way ahead of it’s time and is only now something that people even want and look at seriously as an option. Microsoft could make Media Center an incredible tool that would be used by many more, and that is the problem. Microsoft has figured out that offering software that allows you to get Free TV and other entertainment is wrong when they can charge you and form alliances with the Cable / Satellite providers and other companies that own the channels we find on Cable / Satellite. Those said Companies do not want to be in bed with someone that allows people to circumvent paying. Microsoft wants to do away with Media Center and make you use their Game Consoles instead. Right now Media Center allows us to do many things for free through third party software that you have to pay for on XBOX 360. If you want to watch Netflix or Amazon Prime, you first have to pay for XBOX Live. With Media Center we can pretty much watch whatever we want, whenever we want through the use of third party software. When using Playon, you can watch just about anything on an XBOX 360 extender and you do not need to pay for XBOX Live. Microsoft does not like that. It is just a guess, but I would say that the next console may not be a Media Center Extender. Microsoft does not want you to be able to stream your Blu-Ray collection or even your DVD collection to extenders. They want you to use Pay Per View on the XBOX 360. They want you to subscribe to Comcast and others and have to use the XBOX 360. The days of Microsoft touting FREE INTERNET TV are over. Things like Tuner Salad allow us to put multiple tuners on Media Center and record many channels at one time using Over the Air Signals with the highest HD quality. Again Microsoft does not like that, We are getting something for free again that they can charge us for. Think about it. When using an XBOX 360 by itself… there is no third party software. it is Microsoft’s way or the highway. By getting rid of Media Center it stops all the third party software that allows us to do what we need to make a Free TV system. I am really looking forward to the Ceton Echo, but even more so for a company to come out with Media Center like software that you put on the main computer in your home and then use a product like the Ceton Echo in each room of your home. Even though we have not gotten many details so far… I believe that the Echo could be crippled when using it with current Media Center PC’s. It’s full potential will be with the main Ceton Q. Again the Ceton Q product will probably be locked down against third party software. The great thing about an extender is that I do not have many programs running that I continually need to manage updates on. I have 5 XBOX 360’s in my home as well as a 42TB server and 4 PC’s, one of which is a home theater PC. We also have one Popcorn Hour C-200. The one company that comes out with software like Media Center and also offers an extender that can be updated and is powerful enough to playback all audio and video formats will make a killing in this market.